Our Barcelona pub tours are now legendary. You just have to experience it for yourself! As you also know, never go on a night out without being properly fed. Our team advises that you find only the best and cheapest food in town. Read this short guide to know more about the tastiest options in town. What else to eat in Barcelona other than tapas? The signature dishes of the city are here for you to try. Craft Barcelona delivers a perfect selection of the best Catalonian finger food. Tapas comes in all shapes and sizes. From humble salads to sausages, seafood, tapas can be basically anything. Fresh daily selection awaits you here with excellent wine and light beers for the heat. 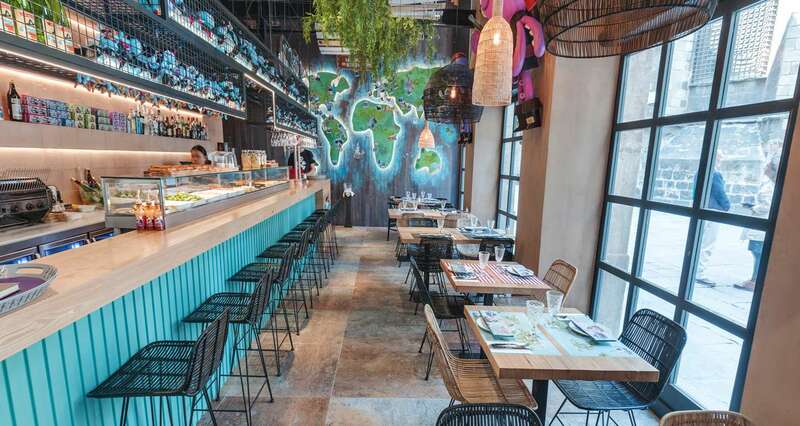 Walk inside to see their rich selection and immense yourself in Catalonian food culture! Thailand knows everything about street food, since the country has one of the most amazing fresh food industries in the world. Wok to Walk is a place where you can enjoy some spicy noodles, rice and vegetable dishes. The prices are well adjusted, yet the quality remains very good. A true fast food place for those on the run to a party! If you’re looking for a filling breakfast or a nice sandwich in the afternoon, than bocadillos are the best choice! Basically, these large subway style sandwiches are the most well-known Catalonian street foods. Try the very best selection at Pans! They also have salads and cold drinks to accompany your meals! These are also nice cures for a Barcelona pub tour hangover. For a more sophisticated taste, visit a small little Catalonian restaurant in a calm street. Just think of Bobo Pulpin, when you’re in a need for something tasty. They have excellent paella, seafood and some mouth-watering sweets. A culinary adventure in Barcelona for those who wish to try Mediterranean specialties. Every pub tour in Barcelona is a unique experience to make new friends and to have a great party! Visit our site, pick your date from the calendar and make a reservation to be party of the adventure. Book now, places sell out fast!